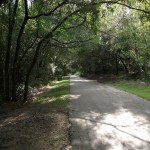 There are sections that are well shaded but there are also large areas that receive full sun – sunscreen is strongly recommended when biking during the heat of the day. 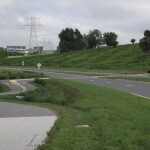 There are some hills that shouldn’t be overly taxing if you are decent shape – others might struggle with some sections of the ride. I’ve found this ride listed under several different combinations of names. 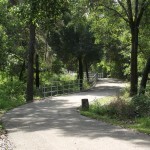 I chose to go with the signs that are posted along the trail itself as the official name for the trails. 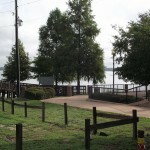 I began my ride at the western trail end where Clermont fronts along Lake Minneola. 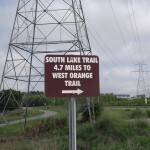 I chose that location over the eastern end of the trail which serves as the trailhead for the West Orange Trail (Kilarney Trailhead). 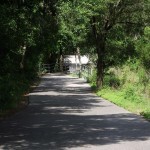 The Kilarney trailhead is a very busy affair so I preferred the less traveled Clermont trailhead. 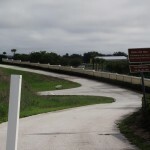 From either east or west, take exit 55 on Interstate-4 and head north of U.S. Highway 27. 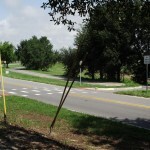 At Highway 27’s intersection with Highway 50, head west toward Clermont. 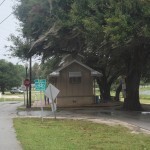 Head north of 12th Street. 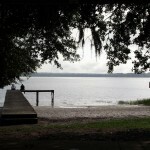 You will see Lake Minneola appear on your right. 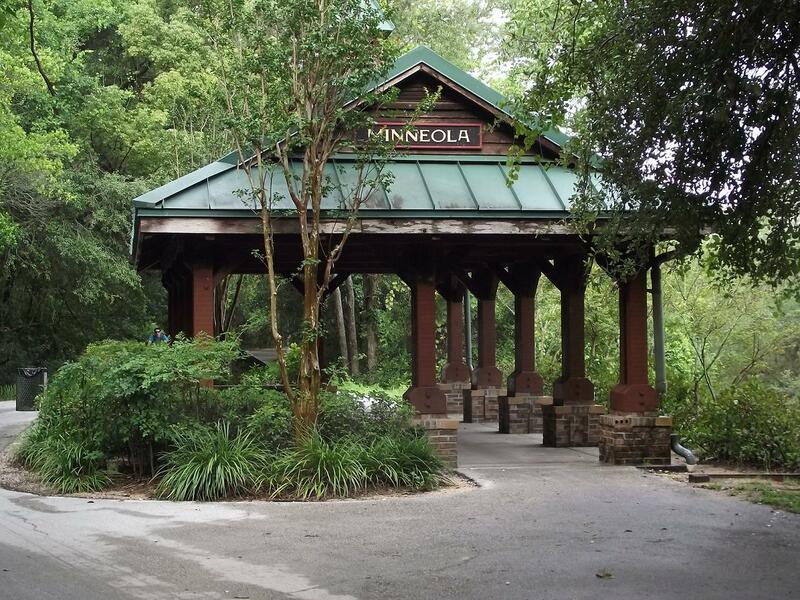 Park along the shores of beautiful Lake Minneola and enjoy the ride! 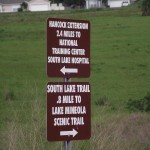 The trail is 23 miles – from the western trail end at the southwest corner of Lake Minneola, to the southwest end of the Hancock Road Extension, to the eastern end at the Lake County/Orange County Line (the Kilarney Station trailhead that serves the West Orange Trail and back to the trail end in Clermont. 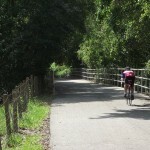 There is a lot of diversity along this trail. 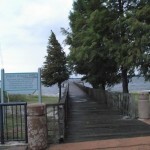 The beautiful lakefront ride along Lake Minneola on one side and the charm of Clermont on the other. 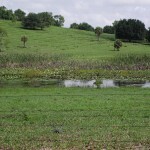 There are open vistas near the Hancock Extension where you feel like you are looking over all of central Florida. 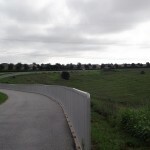 Ponds and pastures along the Old Highway 50 as well as some heavily wooded portions as you near the eastern end of the trail. All in all a fine ride. 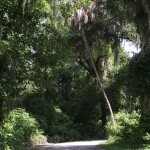 Do exercise caution crossing Old Highway 50 – it tends to be a fairly busy road and the crossing occurs near a curve in the road. 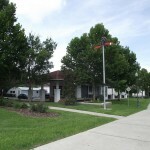 There are facilities and restaurants along the Clermont waterfront. 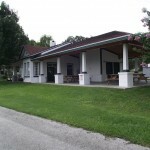 Facilities can be found at the Kilarney Trailhead at the eastern end of the trail. 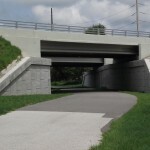 Some may find the climb along the Hancock Extension taxing. 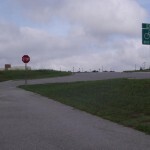 This section could easily be skipped to avoid any major climbs. 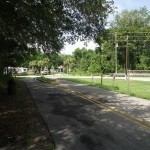 The crossing at Old Highway 50. 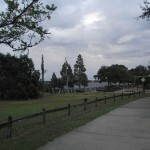 Lake Minneola and the Clermont waterfront. 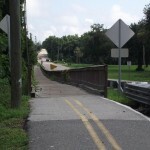 The climb along the Hancock Road extension. 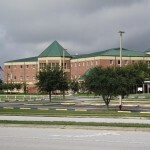 It provides a beautiful view of the surrounding area. 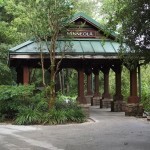 The wooded area around the Minneola Pavilion. 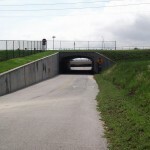 Believe it or not, the tunnels along the Hancock Extension. 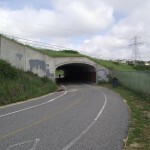 Since I live along the coast, tunnels aren’t usually part of the riding experience.